The heavily indebted country has postponed a payment to the International Monetary Fund, underlining how urgently it needs its creditors to release more bailout funds to avoid default and possible exit from the eurozone. Athens was supposed to pay the IMF about 300 million euros on Friday, but said Thursday it would bundle all the payments due this month into one. That means Greece now owes the fund 1.54 billion euros ($1.7 billion) by June 30. Greece has survived for nine months without access to the final 7.2 billion euro ($7.9 billion) tranche of its 240 billion euro bailout. But only by forcing local government and other public bodies to hand over cash reserves, and by tapping an emergency account at the IMF. The country's five-year debt crisis deepened early this year when a new anti-austerity government insisted on renegotiating the terms of the biggest international bailout in history. That rescue kept Greece in the euro, but helped drive the economy deep into recession and unemployment to record levels. Other eurozone countries -- which now hold most of Greece's debt -- and the IMF agreed to continue talking, but won't release the remaining cash until Greece agrees to budget targets and economic reforms. 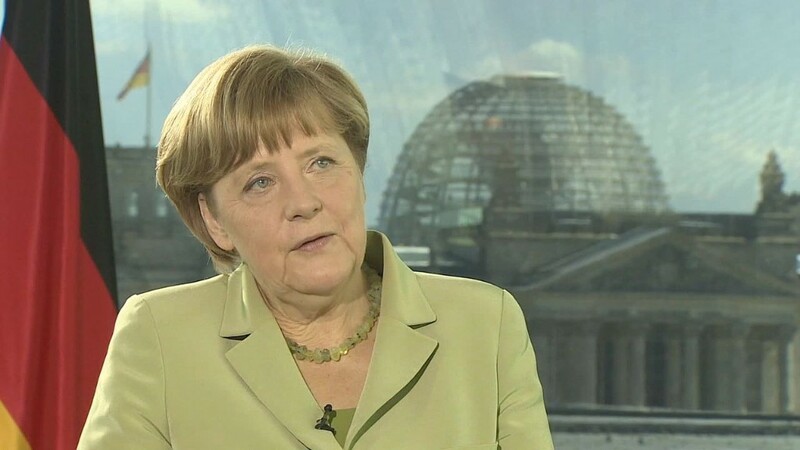 German Chancellor Angela Merkel held emergency talks this week with top officials from the IMF and European Central Bank to craft a proposal to break the deadlock. But discussions with Greek Prime Minister Alexis Tsipras failed to produce a breakthrough. Analysts said the decision to delay the IMF payment marked a significant escalation in the crisis. Just hours earlier, Tsipras had signaled it would go through. "It is quite a quick and surprising U-turn that takes it to another level, really," said Raoul Ruparel, the co-director of independent think tank Open Europe. Ruparel said the decision could reflect tensions within Greece over how to use the government's rapidly diminishing government funds. "I think they probably have the money ... but they don't want to risk paying [the IMF] and then not having enough money to pay wages and pensions." News of the IMF postponement rattled markets -- the Dow extended its losses by about 75 points. Greece has been unable to borrow from international bond markets, and if the bailout expires at the end of June without a new creditor agreement, the country will be on its own financially. And it owes another four billion euros to the ECB and IMF in July. The uncertainty over Greece's financial position has snuffed out a tentative economic recovery. Savers have pulled billions of euros from Greek banks -- leaving the banks dependent on emergency funding from the ECB. Unless an agreement with Europe and the IMF comes soon, Greece risks a new bank run and could be forced to introduce limits on how much cash Greeks can withdraw from their account or take out of the country. With its banking system tottering, and the economy in recession again, the government may then have no choice but to issue IOUs -- in effect a parallel currency to the euro -- to pay its domestic bills. At some point those notes would have to be converted into cash, and that's when Athens may have to abandon the euro and print its own money. -- Ivana Kottasova contributed to this article.